Gouda bij Kaarslicht – Possibly Netherlandish. 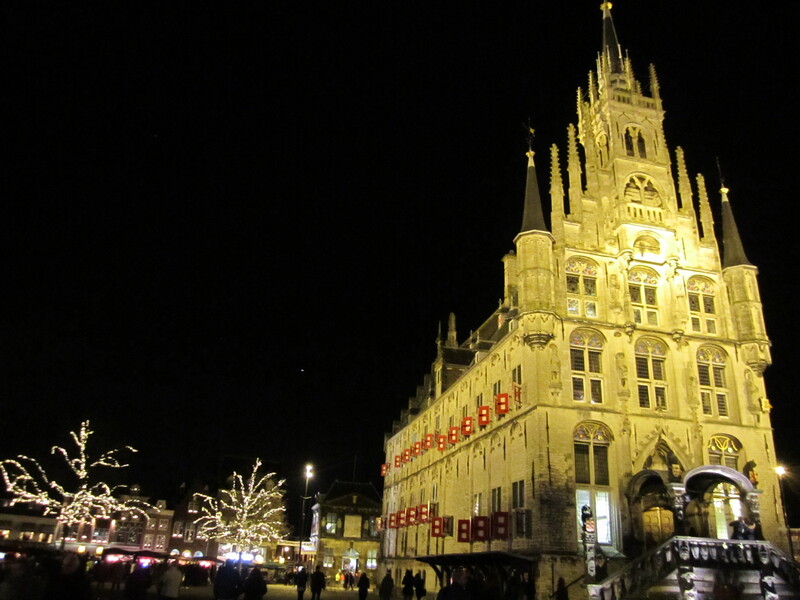 Before we moved to the Netherlands, a friend of mine emailed me a picture of Gouda bij Kaarslicht (Gouda by Candlelight), and wrote, “you’ll get to see this!” Who knew that we would end up living a quick twenty-minute bus ride away from Gouda. Last year (2013) we weren’t able to attend, so we (I?) made sure that we were ready this time around. December 12, 2014 was a cold and rainy afternoon, so we were a little worried about whether this ceremony would go on but the evening cleared up, and likely reduced the crowds a little – which was a mazzel, or good fortune, according to Manon. 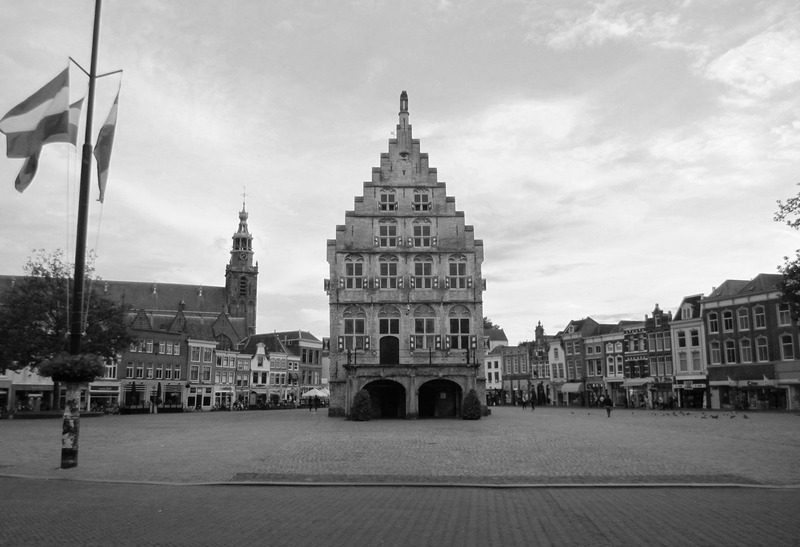 Gouda bij Kaarslicht, has been held over fifty years at the iconic Stadhuis – one of the oldest Gothic city halls in the Netherlands, dating back to 1450. Every year, a ginormous tree, which is required to be between 18 meters to 24 meters, or 60 to 80 feet tall, is shipped from Gouda’s sister city, Kongsberg in Norway for the ceremony. It’s an hour-long event; when we attended, the mayor from Kongsberg gave the pronouncement to light the tree (in Dutch, no less!) The festival is very charming, and people who live in the historic center also participate by lighting candles and watching from their windows.